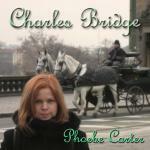 Sign up for Broadjam today to follow Phoebe Carter, and be notified when they upload new stuff or update their news! Produced by Kyle Puccia and Phoebe Carter. Featured musicians include Diana Meyer (electric guitar), Gabe Witcher (fiddle), Jennifer Richardson (cello), Jason Reid (acoustic guitar), Geoff Tyson (guitars). Additional and background vocals by Elysa Gomez, Michael Clark, Robyn Roth, Ana Ortiz, David Trasoff and Kyle Puccia. Special thanks to Susan Carter for giving me the gift of life as well as the gift of songwriting and the love of songs; Michael, Greg, Akash, Dudley and Charles for being the reasons that this particular collection of songs exists; the city of Prague for enchanting and exhausting me with its endless beauty and many wonders and providing the idea for the title of this album.